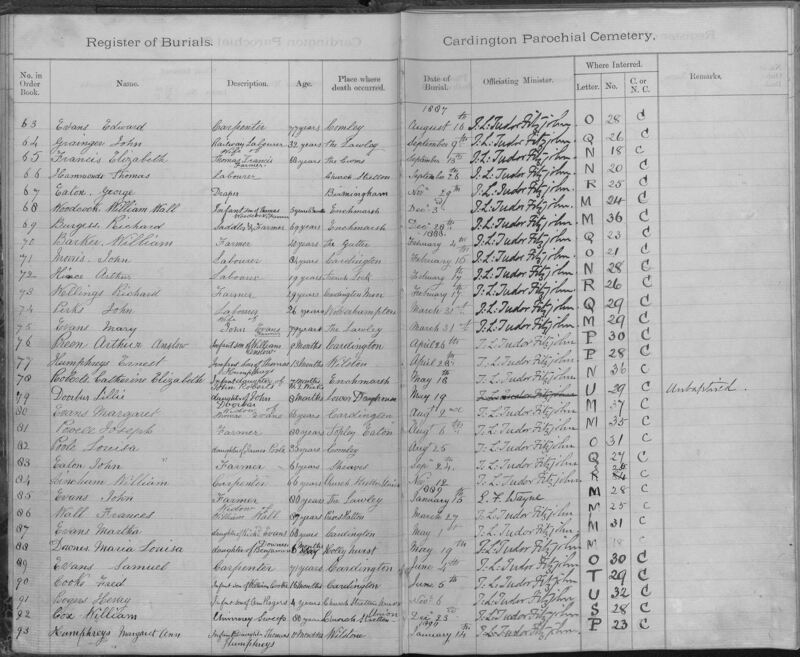 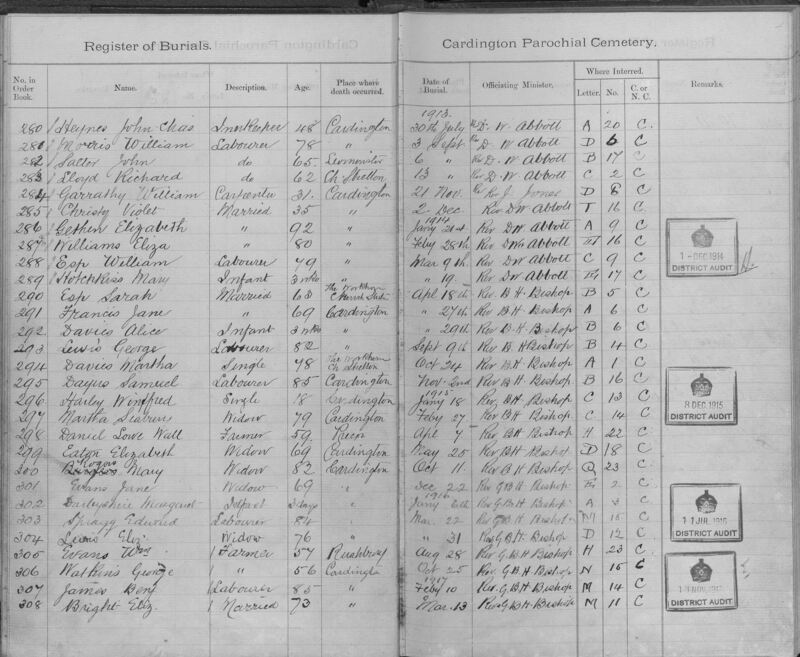 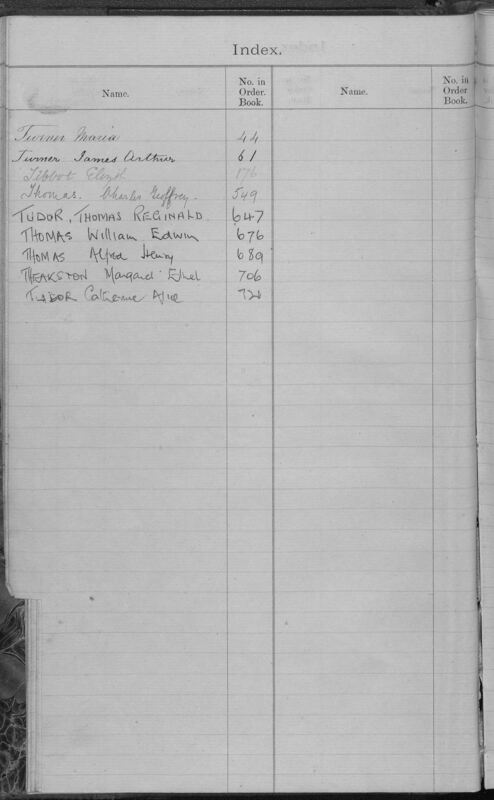 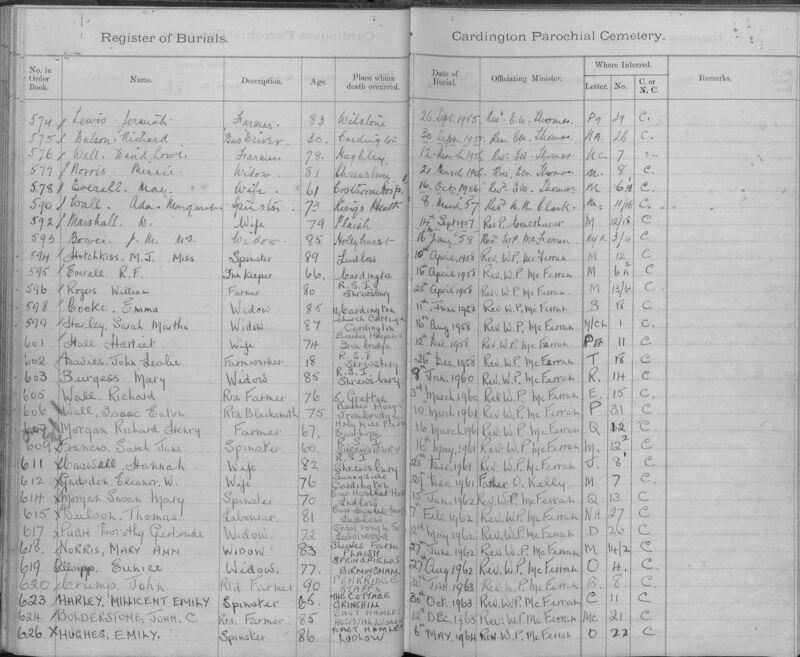 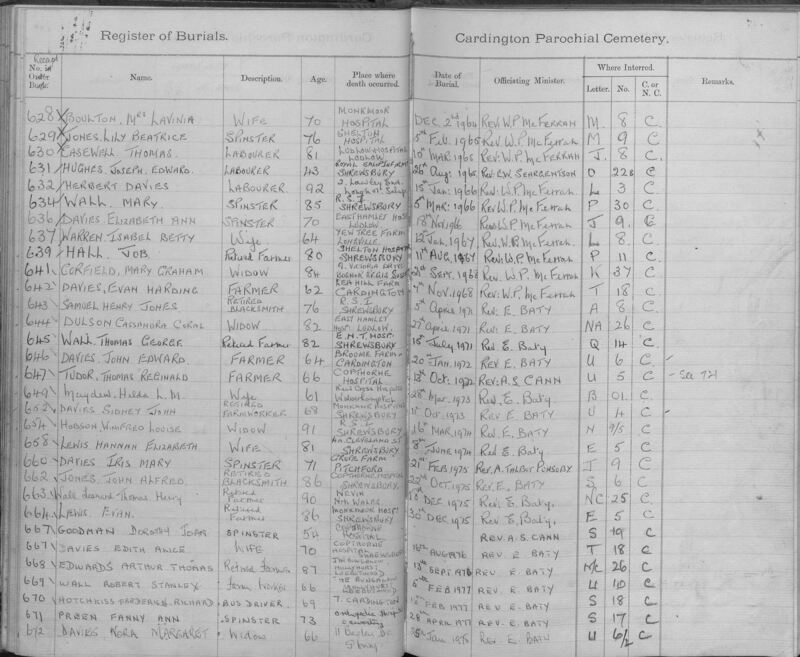 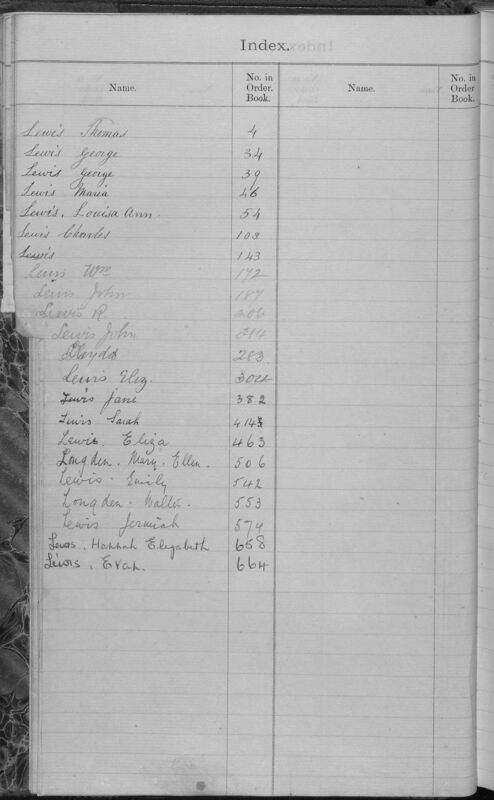 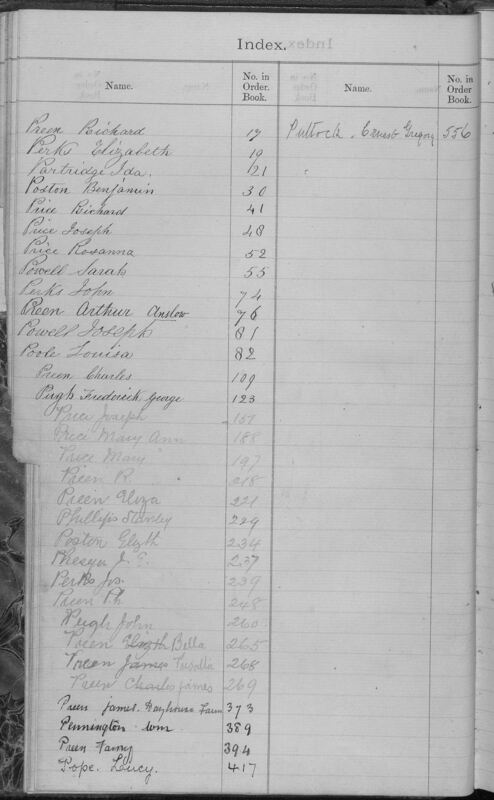 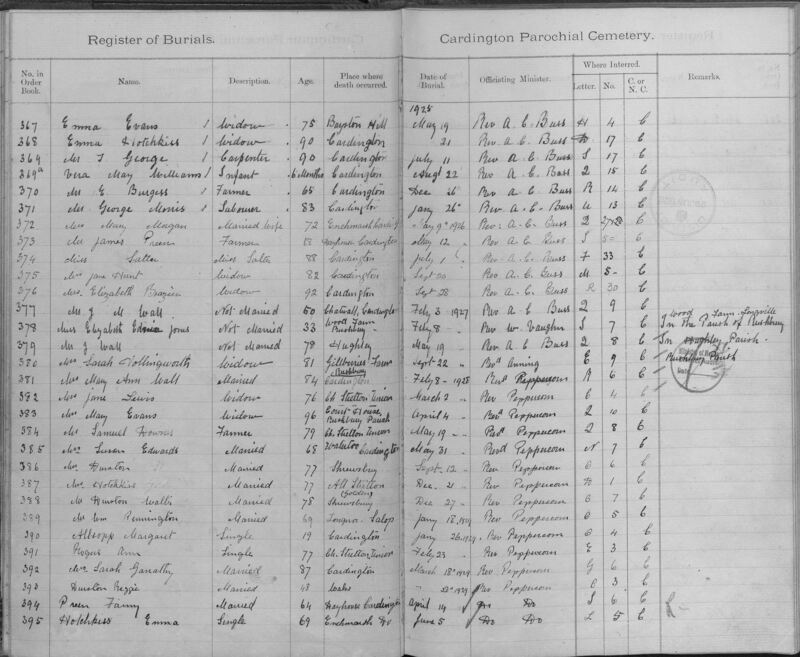 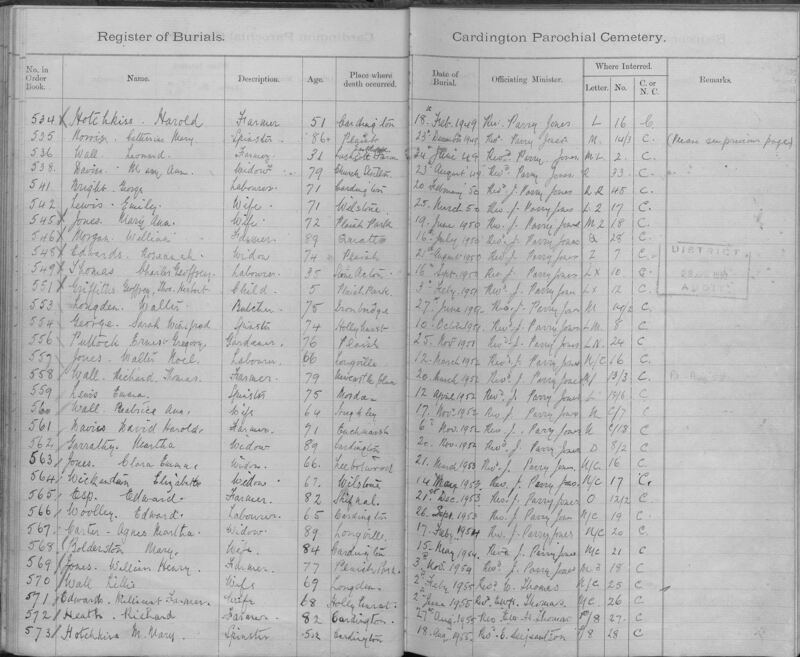 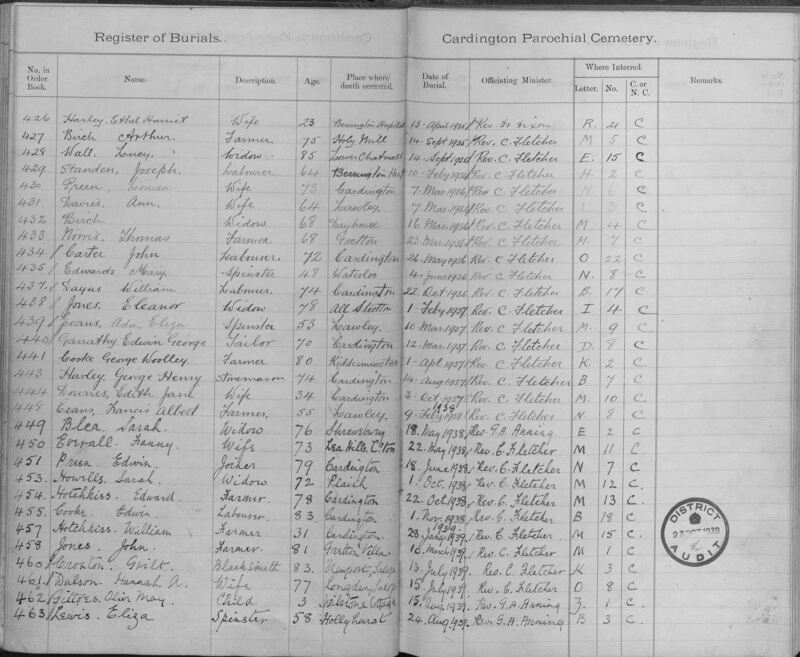 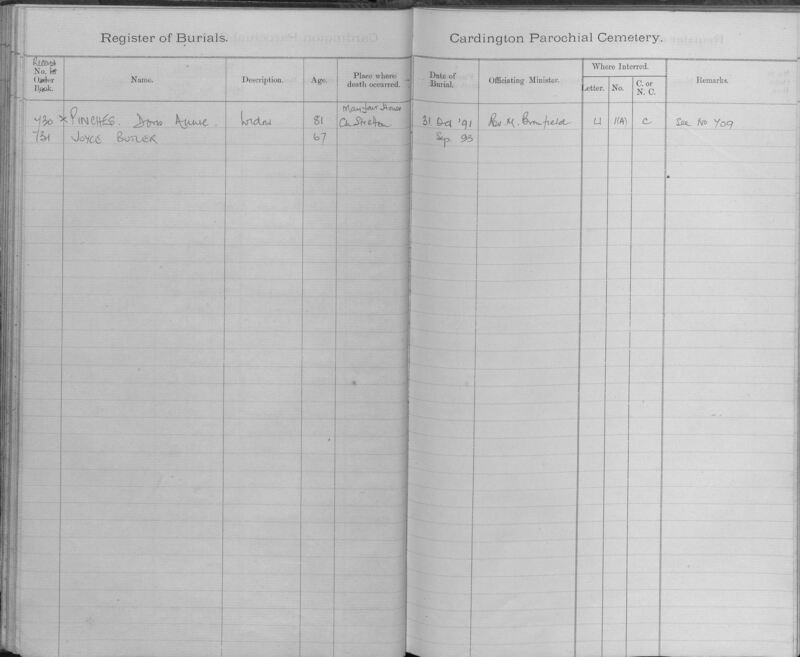 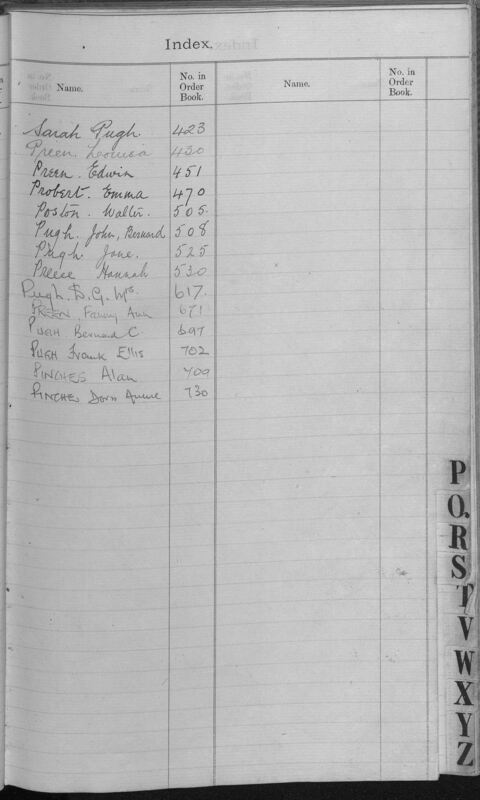 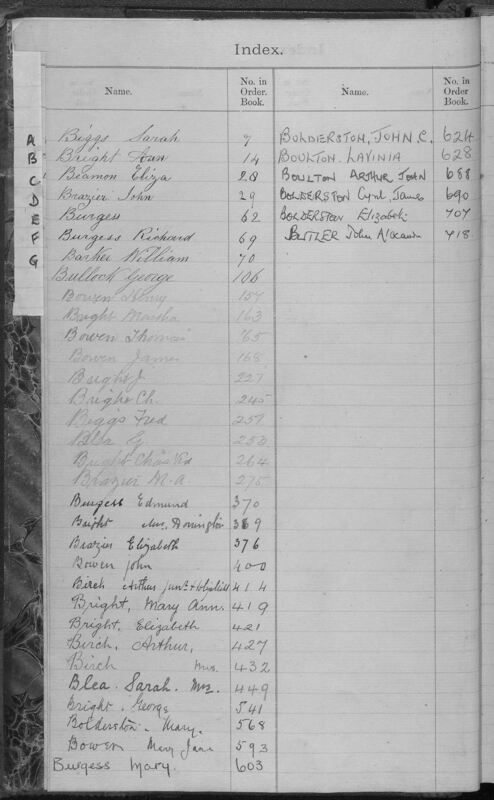 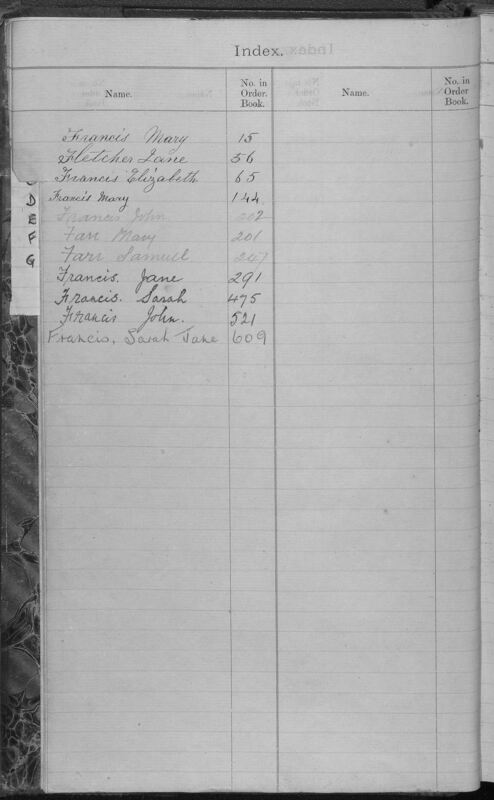 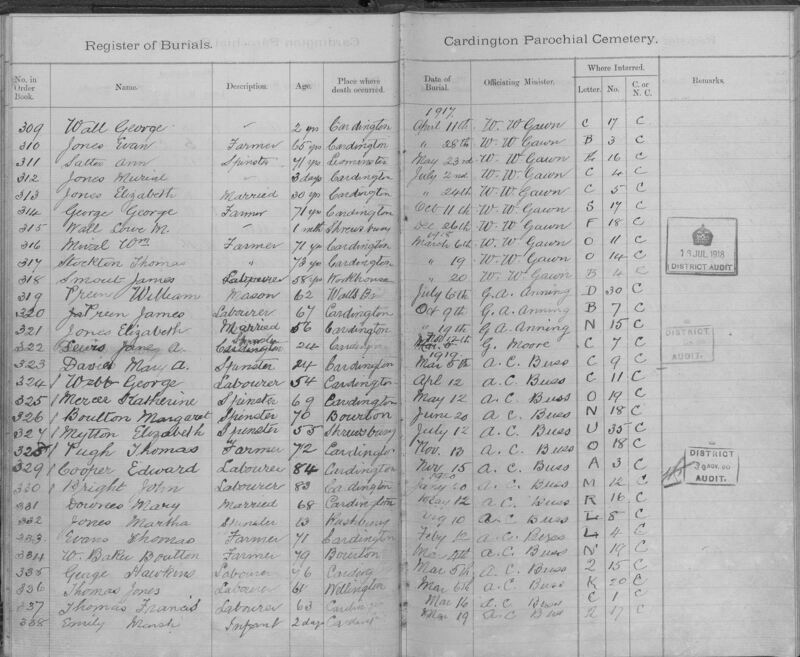 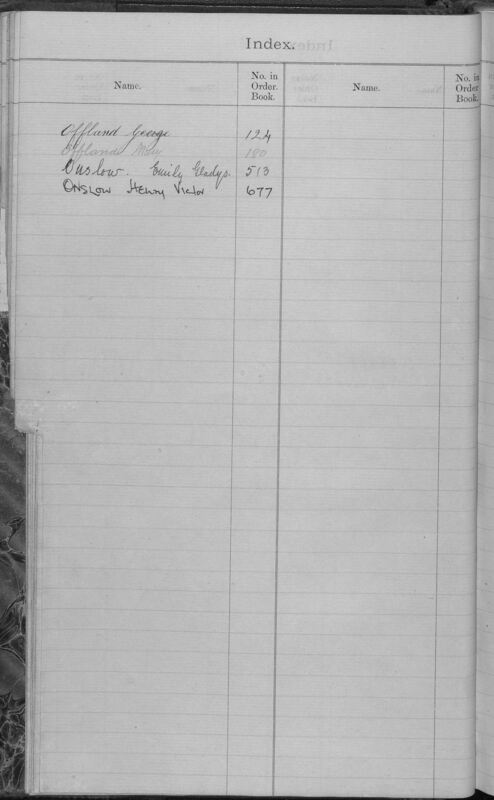 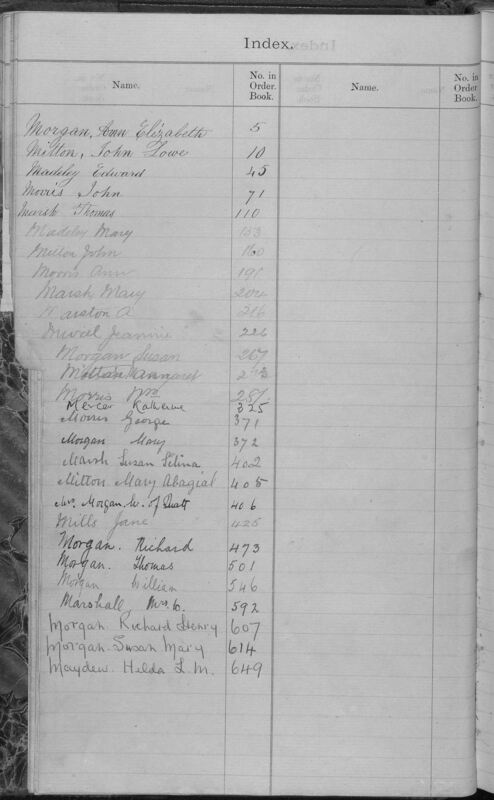 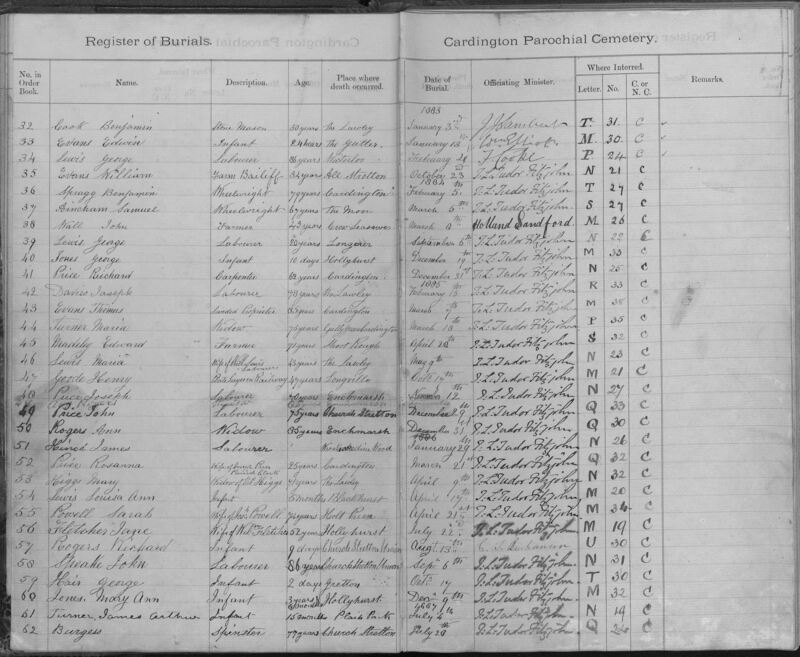 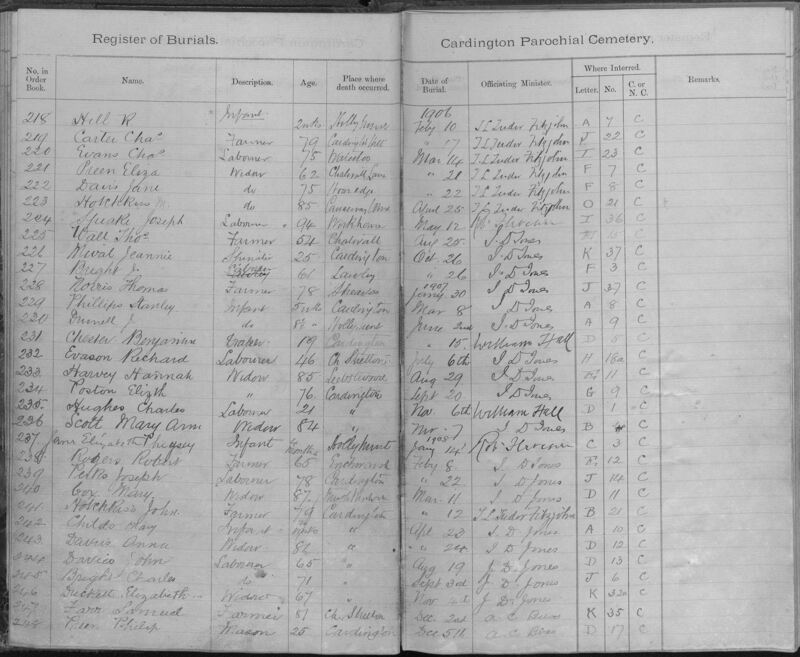 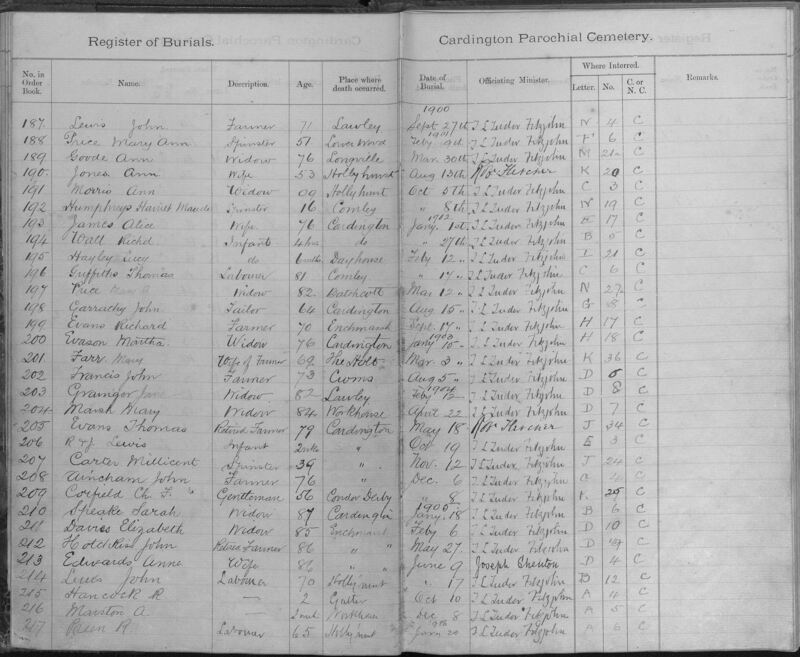 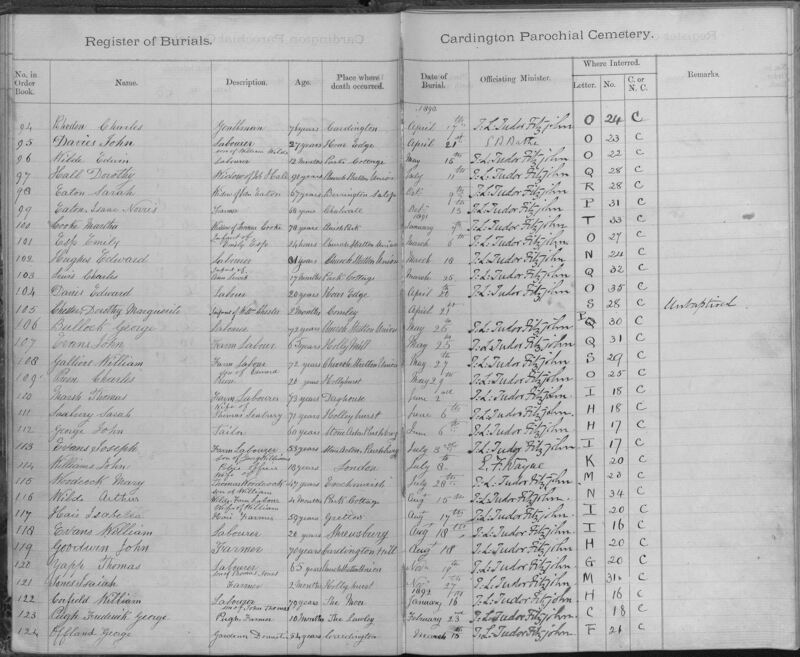 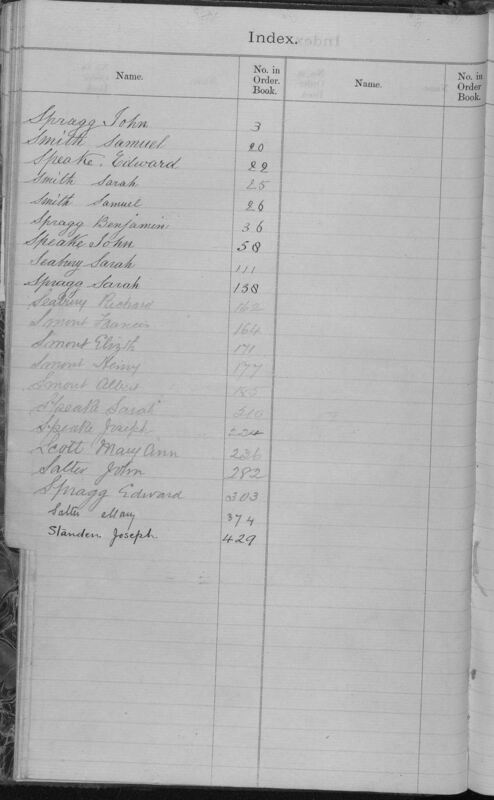 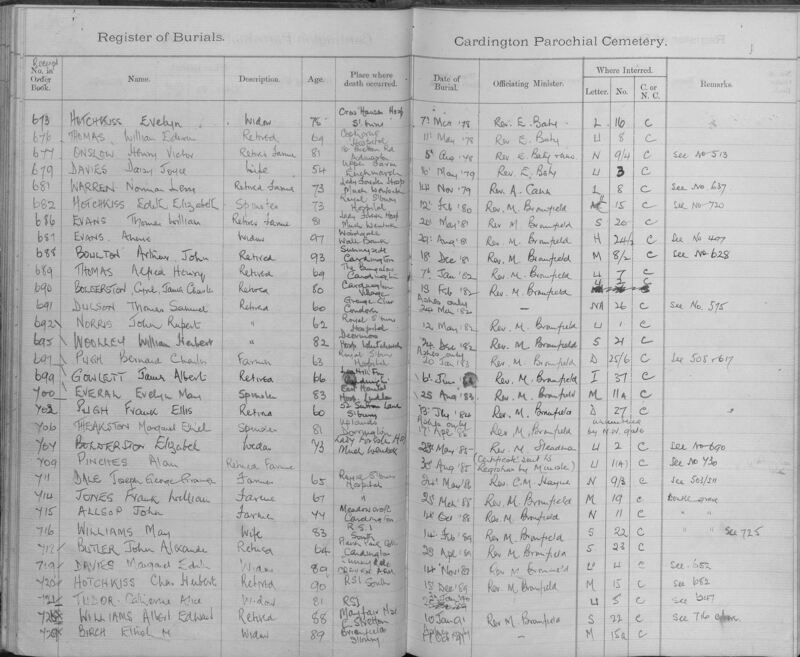 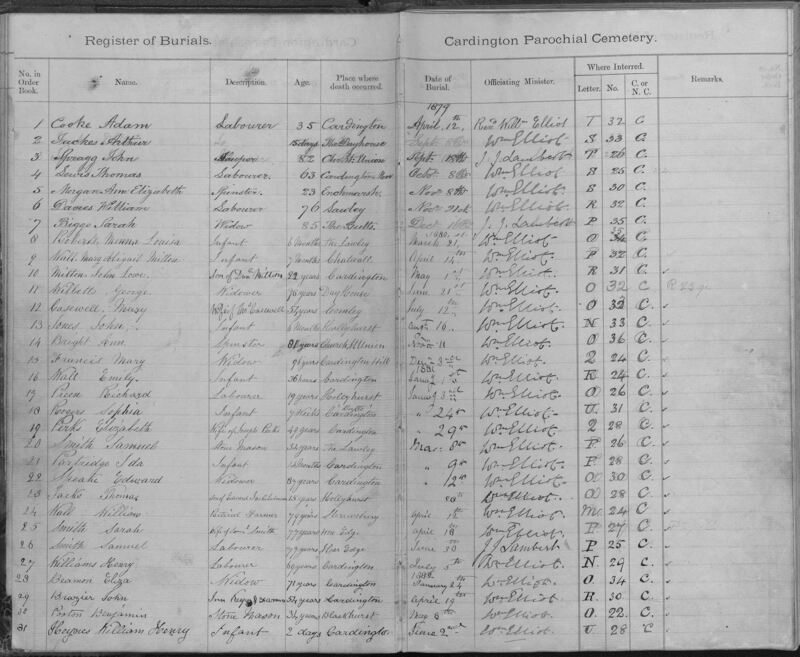 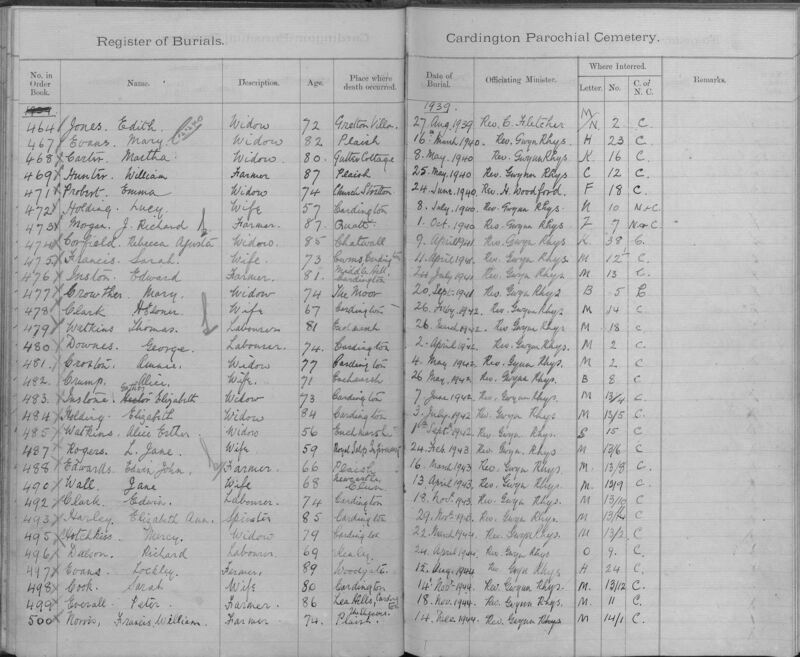 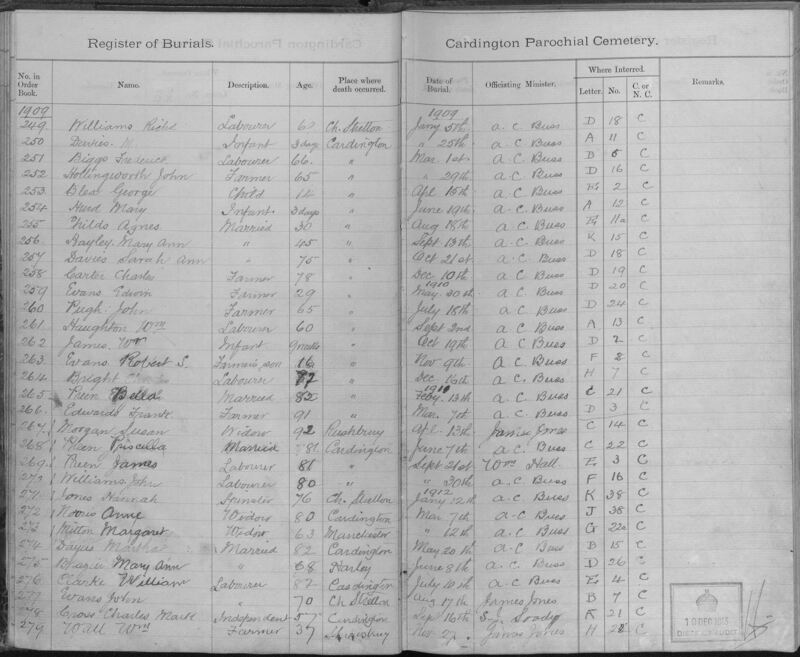 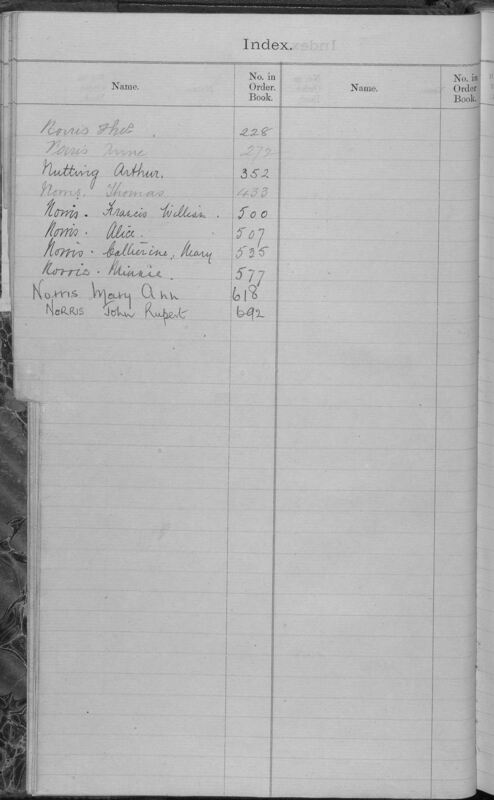 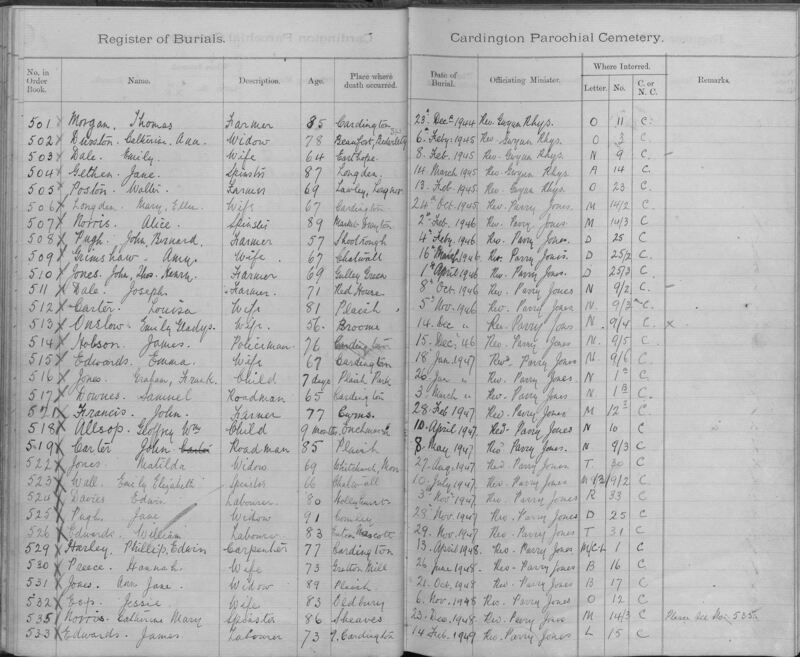 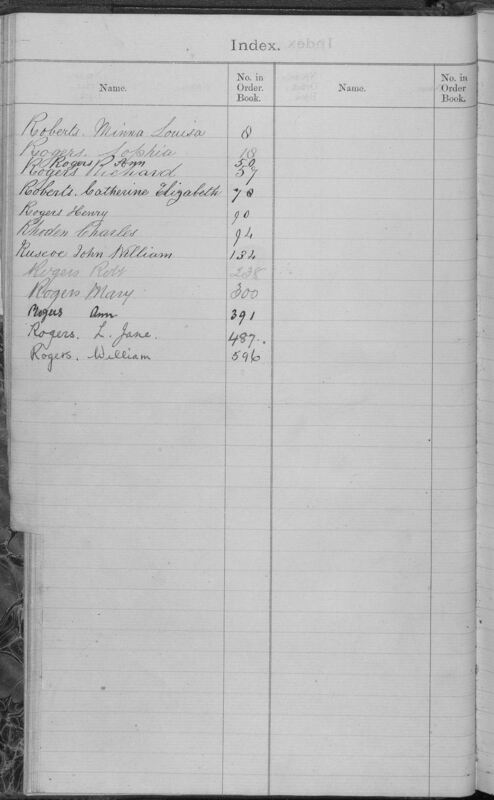 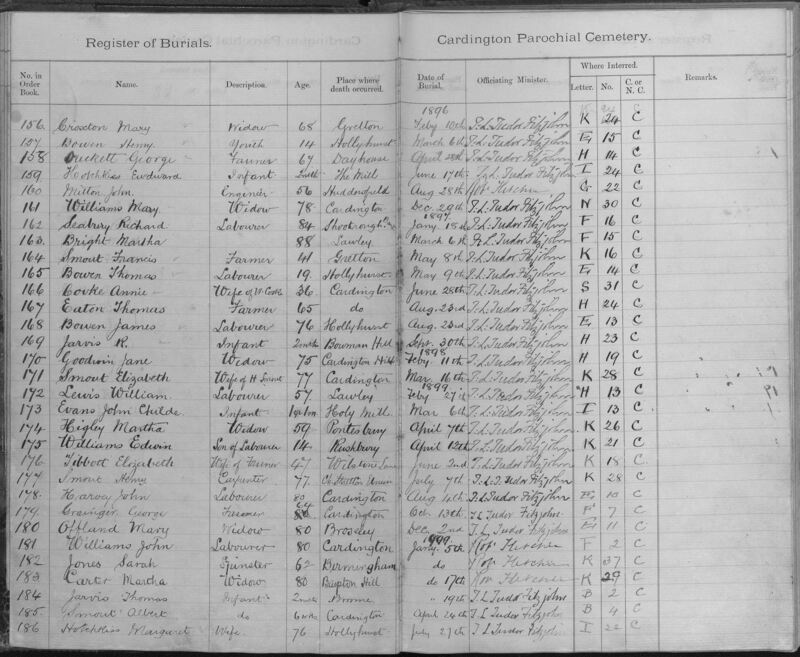 The Register of Burials consists, at present, of 22 pages containing 731 entries. 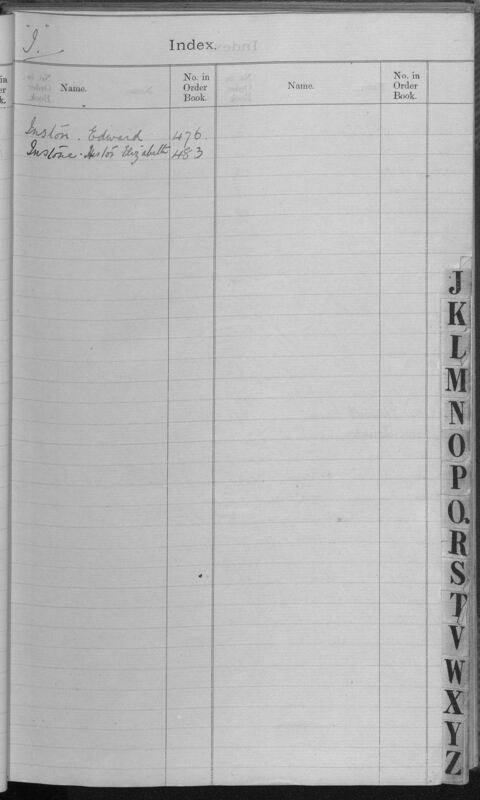 The entries are in date order and each entry has a unique number (the number in the order book), the oldest being numbered 1. 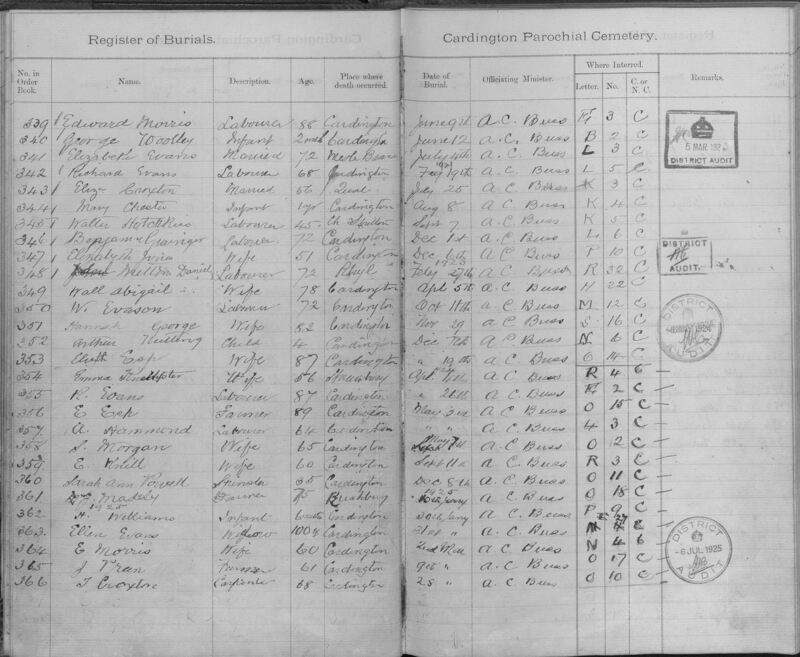 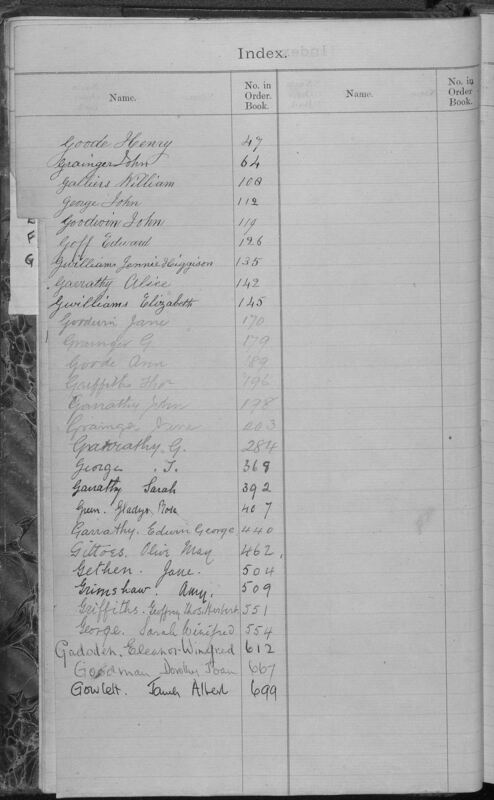 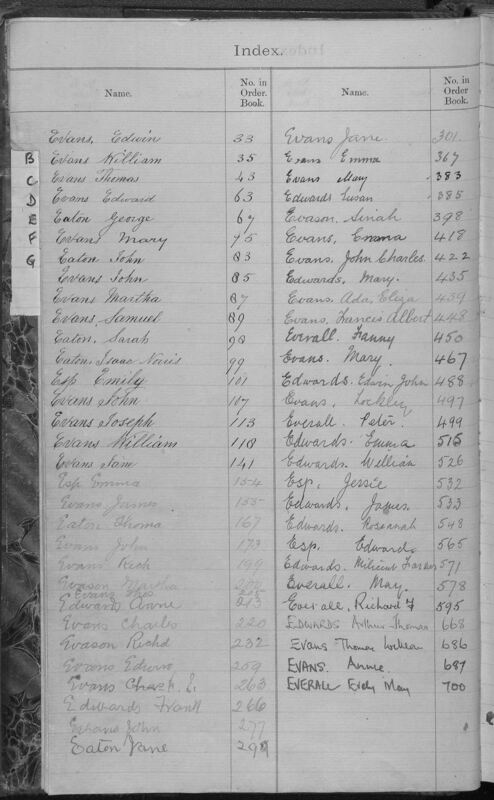 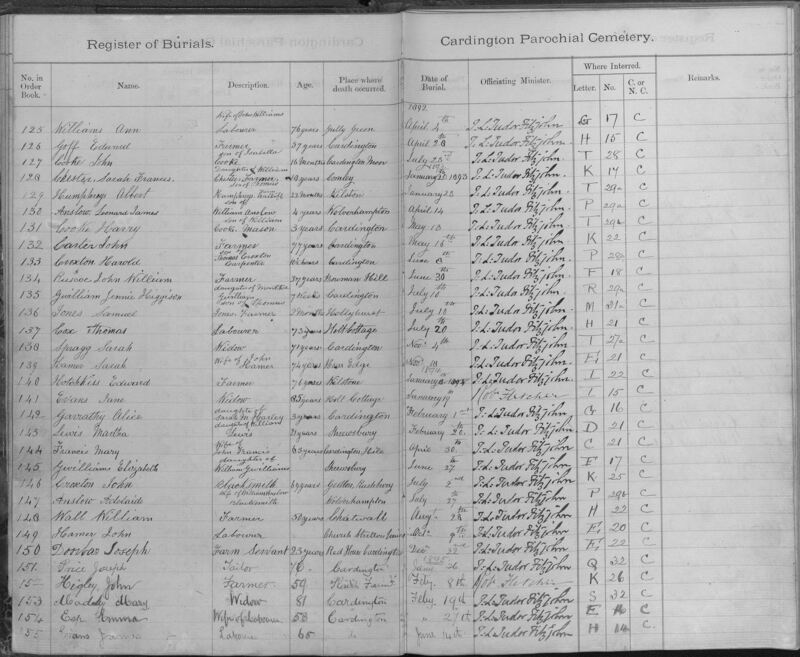 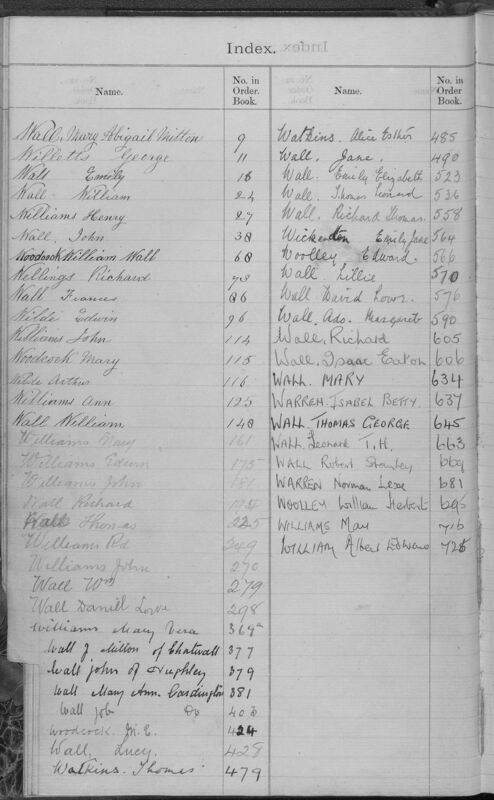 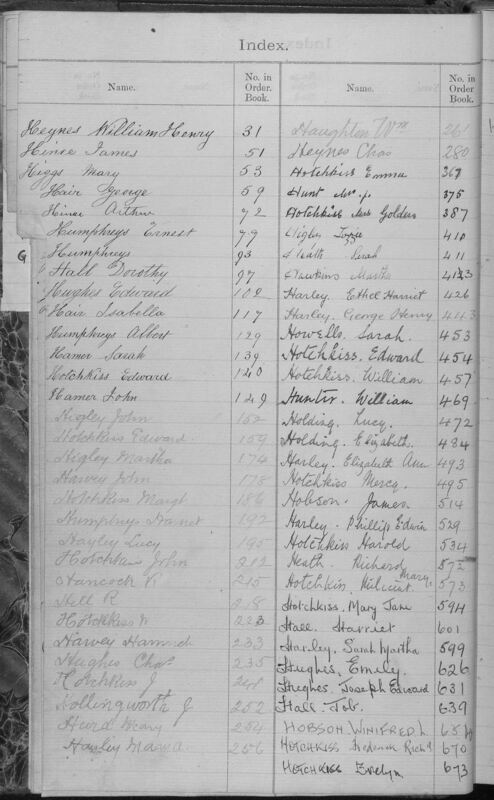 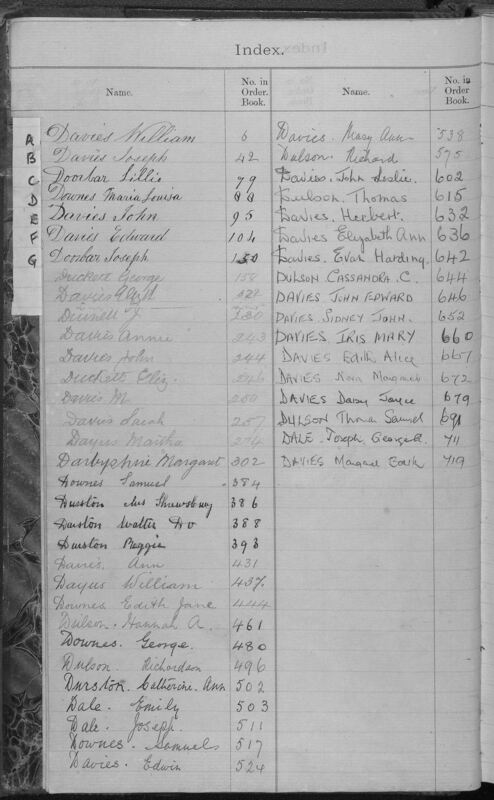 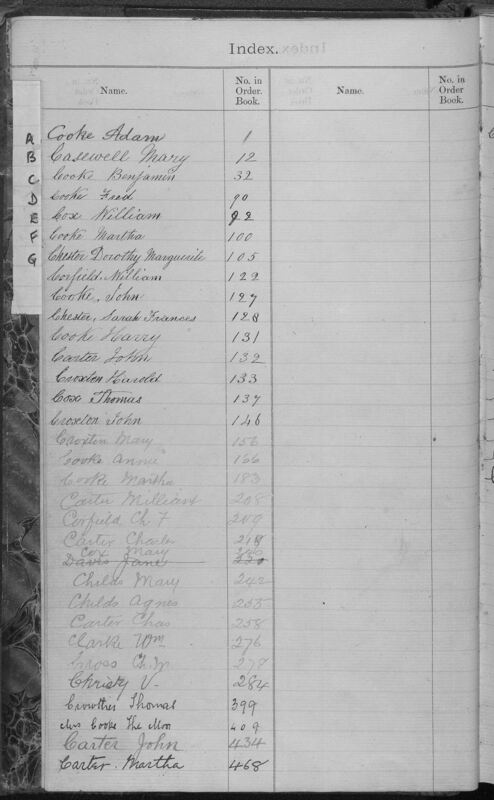 There is also an alphabetical index of surnames. 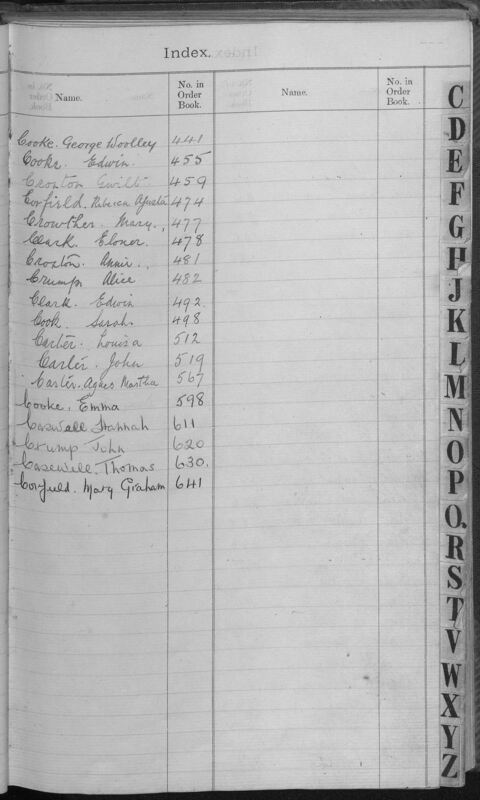 To find a particular person use the alphabetical index to find which number in the order book you are interested in. 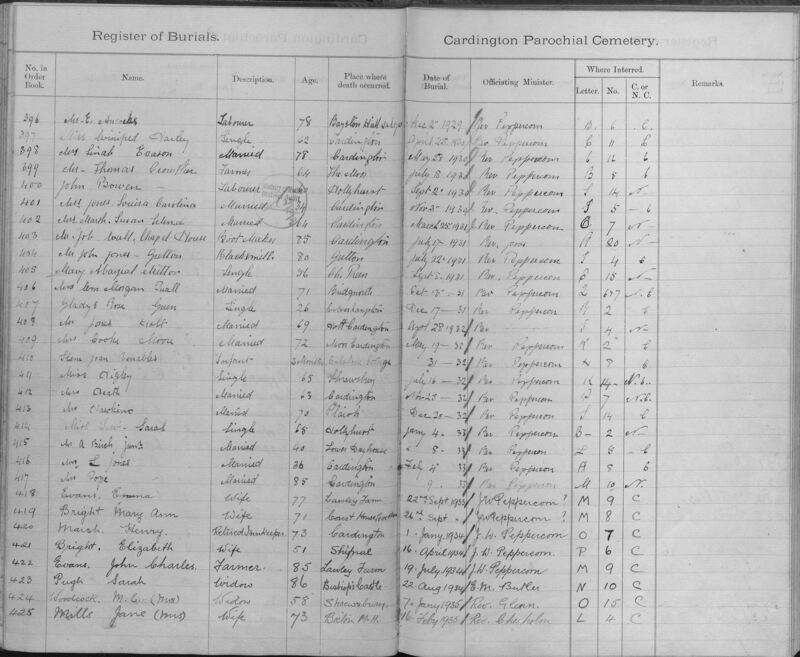 Click below on the initial letter for the surname you're looking for. 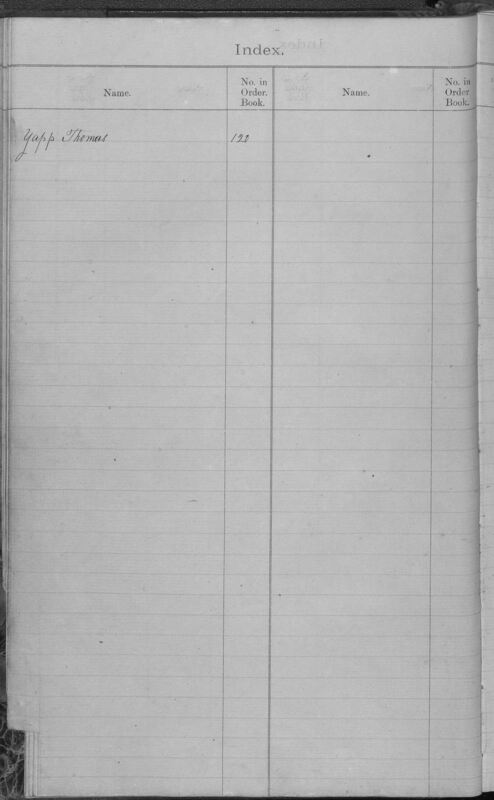 When you've found what you want make a note of the "No. 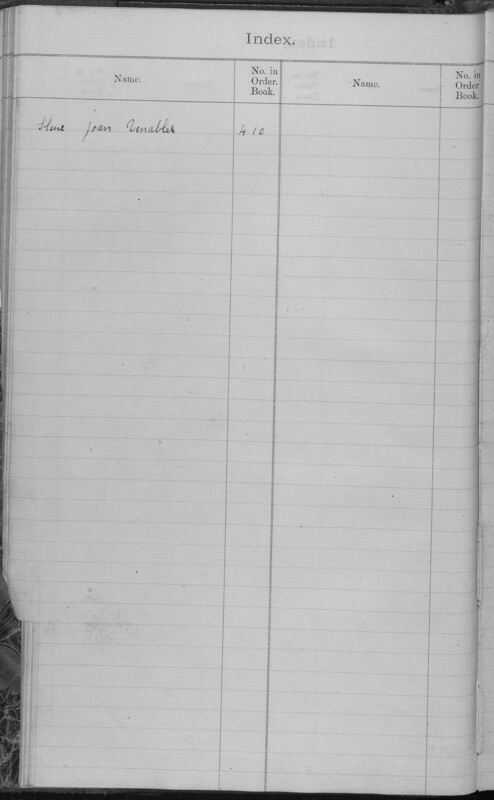 in Order Book" and return to this page. 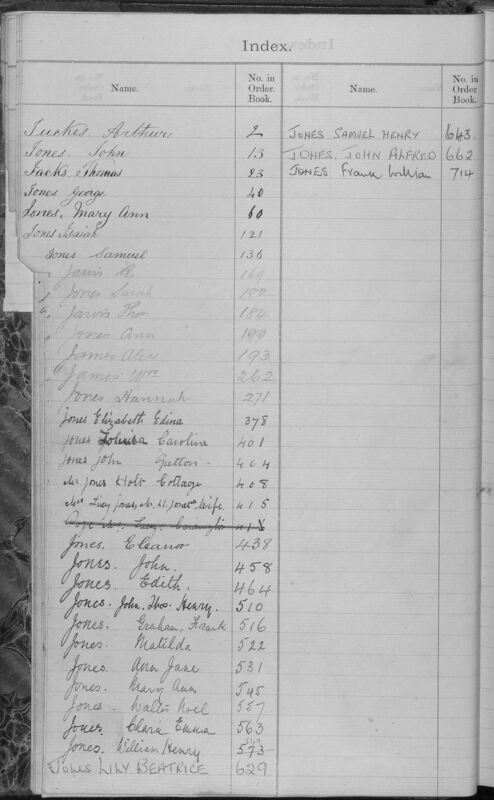 Go a bit further down (Register Pages - No. 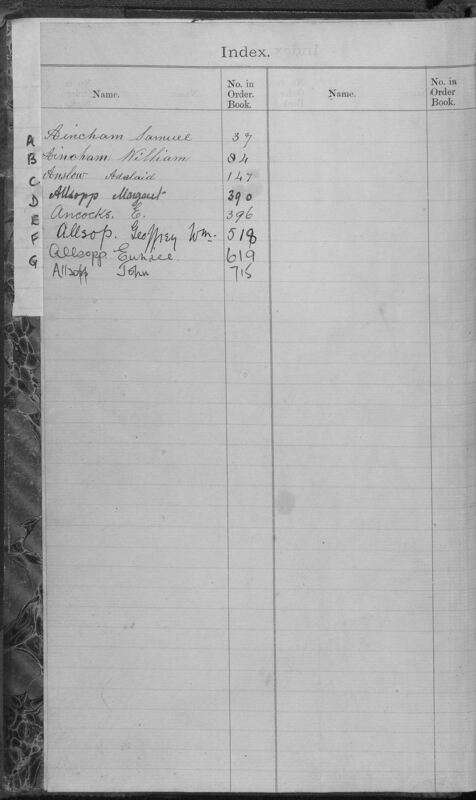 in Order Book) and click on the page which contains the number you have noted.